The fish continue to be scattered right now. 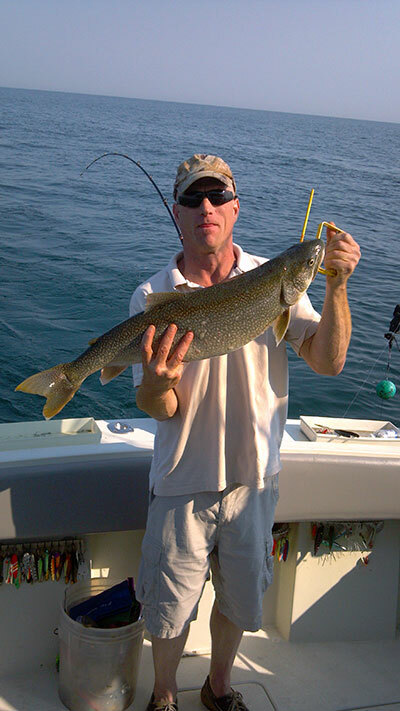 A few Lake Trout have been taken out in 95 to 130 foot of water areas straight out and North of the harbor. Clean spoons and dodgers with spin and glows have been working. Steelhead are slow right now but an occasional one or two have been taken out deep using 3, 5, 7, and 10 color lead lines with bright colored spoons. Walleye are still scattered with a few taken North of the harbor using worm burners, Hot and Tots, and thunder sticks, mix the depth of the lures and water until you see where they are setting. 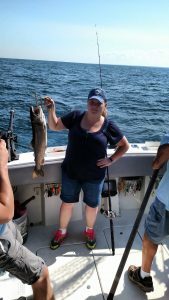 Bass are still being taken in closer to shore casting body baits.